Accommodation type: (Luxury / Mid-range / Budget). Safari lodges: (Sheraton hotel / Cassia lodge / Namirembe guest house). 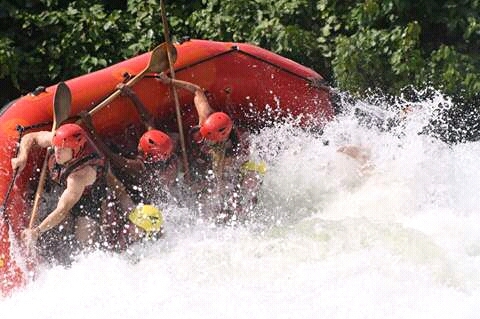 After an early breakfast, you will embark on the drive to Jinja where you will meet your other group members scheduled for water rafting on that day. You will go and visit the source of River Nile, the longest river in Africa. You will enjoy warm lunch at the source of river Nile. Safari lodges: (Jinja Nile resort / Paradise hotel / 2friends guest house). After morning healthy breakfast, prepare to transfer back to Kampala with Kampala city tour if time allows. Your driver-guide will drive you to your hotel in Kampala or to Entebbe airport for departure.